Ottawa, September 29th, 2016 /CNW/ - Startling results of a national public opinion survey about automated vehicles revealed that public misperceptions and over-confidence in these technologies may have unintended consequences for driver behaviour. The May 2016 poll was released today by the Traffic Injury Research Foundation (TIRF) in partnership with the Toyota Canada Foundation (TCF). More than 2,600 Canadian drivers responded to the poll that investigated driver knowledge, attitudes, and practices in relation to much anticipated, semi- and fully-automated vehicles. The increasing availability of advanced safety features that work in tandem, such as lane-keeping and forward collision warning systems, have been an important step towards the development of automated vehicles. Currently, expectations are high that the advent of semi- or fully-automated vehicles will dramatically reduce road crashes and produce a range of other benefits. But whether these gains are achieved will ultimately depend entirely on drivers. Equally concerning, at least some drivers reported they would be more willing to take risks when using a semi-automated vehicle. Almost 25% of drivers reported they would drive tired or fatigued, and 17% would engage in a non-driving activity such as texting, reading or working more than they do now. And, 10% and 9% of drivers respectively indicated that they would be more willing to sleep or nap behind the wheel, or drink and drive. There are many outstanding driver issues that have not yet been addressed, and it is important to underscore the distinction between what automated technology can currently do, and what it may be able to do in the future. Results of the TIRF poll indicated that Canadians will want to use semi-automated vehicles to drive in bad weather, heavy traffic and poor road conditions, but these are precisely the conditions under which automated technology is currently most likely to fail. The results of this study also shed light on other key issues that will have important implications for driver acceptance of automated vehicles, and their willingness to use them. In particular, public opinion was varied regarding the cost of insurance and who should be assigned liability or fault in collisions involving automated vehicles. In addition, expectations regarding ethical decision-making algorithms that will shape the way automated vehicles respond in an unavoidable crash were divided in terms of whether vehicle occupants should be protected, or vulnerable road users such as cyclists and pedestrians. Overall, findings from this poll highlighted that education and awareness must keep pace with automated vehicle technology to avoid increased risk-taking by drivers. The prevalence of misperceptions about the capabilities of this technology, and its limitations is concerning. Governments, manufacturers and road safety stakeholders are important partners that must work cooperatively to fill this critical gap. Brain on Board. In 2013, TIRF launched its first bilingual national education program, created with funding from the Toyota Canada Foundation. It is a one-stop-shop to learn about the many vehicle safety features that are rapidly becoming standard on vehicles, and how to maximize the protection they provide by combining them with safe driving behaviours. Brain on Board contains a wealth of free online and downloadable resources, videos, posters, diagrams, fact sheets and flash cards. Educational materials based on the automated vehicle survey will be made available soon. Visit www.brainonboard.ca or www.cerveauabord.ca. About the poll. These results are based on a public opinion poll developed by TIRF. Data were collected by Nielsen among a total of 2,662 Canadians, who completed the poll in April and May 2016. Results can be considered accurate within plus or minus 1.9%, 19 times out of 20. The majority of the questions were answered using a scale from one to six where six indicated high agreement, concern, or support and one indicated low agreement, concern or support. All of the respondents completed the survey online. About TIRF. Established in 1964, TIRF’s mission is to reduce traffic-related deaths and injuries. As a national, independent, charitable road safety research institute, TIRF designs, promotes, and implements effective programs and policies, based on sound research. 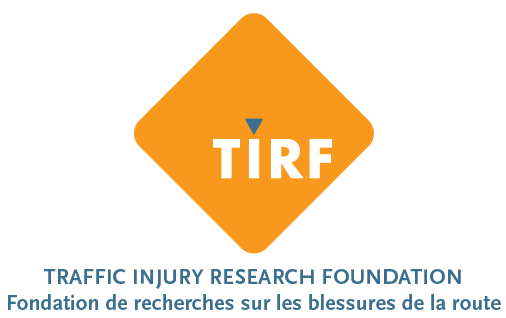 TIRF is a registered Canadian charity and depends on grants, contracts, and donations to provide services to the public. Visit us online at www.tirf.ca; Twitter and Facebook. About the Toyota Canada Foundation. The Toyota Canada Foundation is a national not-for-profit, private charitable foundation, with a long-standing commitment to the Environment, Education, and Safety. The Foundation supports charitable and non-profit organizations dedicated to good work in these areas. Traffic Injury Research Foundation Toyota Canada Inc.